We love monsoons. Romantic walks in the rain, the sweet smell of the earth and getting away from the unbearable heat of summer. After the chaos of planning a wedding, it’s your turn to relax, rejuvenate and celebrate your love away from the hordes of relatives you met during the wedding. Here’s a list of places to help you plan the perfect monsoon honeymoon. We cannot emphasise enough about how amazing Kerala is in the rain! Munnar is a picturesque heaven surrounded by tea gardens and misty mountains. There are plenty of things to do in Munnar and one of the most interesting things to do would be to drive on the winding roads surrounded by lush greenery with your special someone. Explore the tea estates and watch the sunset with a cuppa. If that’s not enough to convince you, imagine soaking in a luxurious bubble bath. You can also opt fo a Kerala Ayurvedic couples massage to pamper yourself silly. Are you inspired and all ready to pack your bags and travel to Munnar? Book your stay with Sterling Holidays’ Terrace Greens Resort. Within driving distance from Bangalore, Mysore, and Mangalore, Coorg is perfect to enjoy the rain. If Munnar has its tea gardens, Coorg has its coffee plantations. Wake up to the sounds of nature. The Abbey falls waterfall is magical in the monsoon spraying the onlookers on the bridge with droplets. The Iruppu Falls near the Nagarhole National Park is another romantic excursion. If you are lucky, you may have butterflies as a company. Isn’t that straight out of a fairytale? Did you always dream about living like a royalty? A honeymoon in Udaipur can fulfill that fantasy. Even though Udaipur is not a hill station, the dramatic monsoon skies against the palaces can leave you spellbound. A romantic boat ride across the lakes Pichola and a stay in a heritage hotel are only a few things you can do in Udaipur. Udaipur also has an airport which means that unlike other places in Rajasthan like Jaisalmer, you can save on your travel time. Surprised to see Goa on this list? 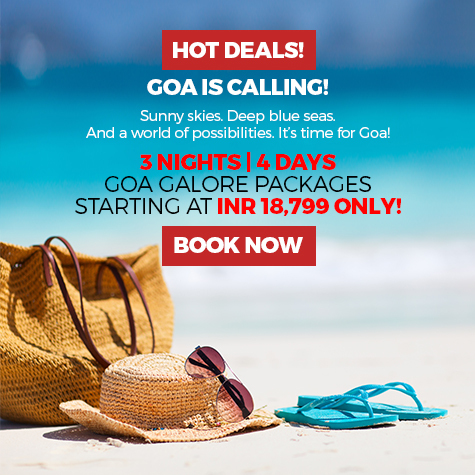 Isn’t Goa a party place, a beach destination to catch the sun? Why go in the rains? Plenty of good reasons. Goa is beautiful and green in the rain. Arvalem Waterfalls and Dudhsagar Waterfalls come alive. The rice paddy fields surrounded by coconut trees provide a spectacular backdrop. 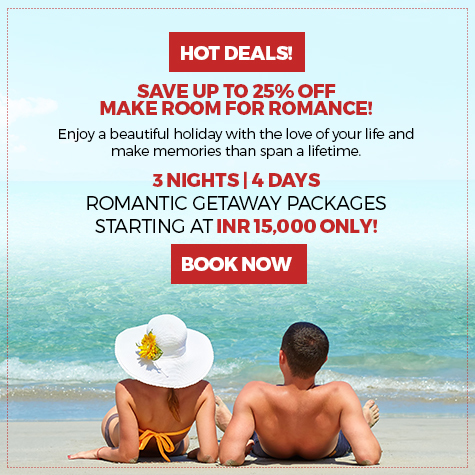 Unlike the rest of the year, when Goa is full of people, monsoon can give you the privacy you want on your honeymoon. The temperature also falls to pleasant and slightly cool, unlike all year round severe Goa heat. Sip on coconut water by the pool at Club Estadia in North Goa. Kodaikanal is one of the hill stations in South India that is nestled in the mountains. Located in the Palani Hills in Tamil Nadu, this lovely hill station in South India looks even more stunning in the rain, making it the place to explore in the monsoons. The serene Berijam and Kodaikanal Lake, the tranquil pine trees and the roaring Bear Shola Falls, need we say more? Surprise your partner and plan a romantic dinner for two for her at the Kodai by the Valley and enjoy those precious moments alone with your spouse. Have you picked one yet? Or like us, you think it is a problem of plenty. Pine forests of Kodaikanal or winding roads of Munnar? Which will it be? We are sure, whichever one you decide, it will be incredible and something you will remember fondly for the rest of your life. Why Wayanad Is The Spa-Cation Destination You Were Waiting For?